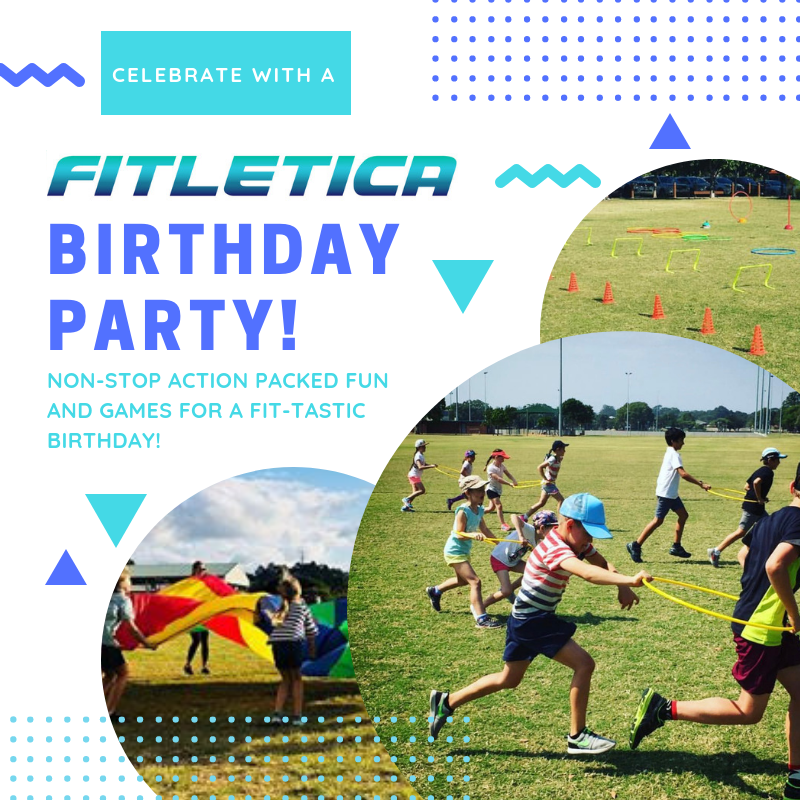 Let Fitletica come to you to help your child celebrate their birthday by getting active, burning energy and having fun! We bring all the equipment and our awesome instructors will run and supervise a series of fun games to give your child a party to remember! Our party package includes 1 hour of non-stop action-packed, age appropriate games that will entertain your child and their friends! Activities include obstacle courses, parachute games, relay races, circuits, ball games, skipping ropes, hula hoops and more! Suitable for children aged 3-12 years. *Includes a party with 1 hour of games and a gift for the birthday boy/girl! We are happy to tailor a party package to suit your specific requirements. We can also accommodate for larger group sizes if required. Book your child’s birthday party with us today!